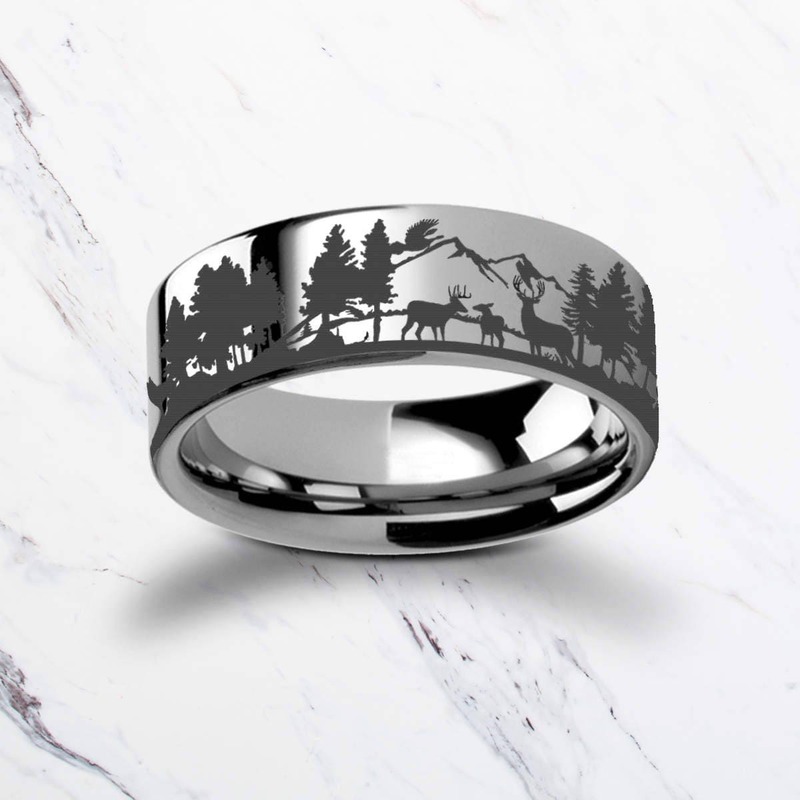 This is a flat polished tungsten carbide ring with a beautiful intricate scene of deer grazing in the forest and mountains. This is an awesome engraved ring for lovers of deer and anyone that's into the outdoors. Amazing as I knew it would be! This is actually the second time... but my husband accidentally lost the first one lol totally not his fault but either way we love it! This company was very willing and efficient to help me receive a new ring when it was too big. They resized it and send a new one with the exact same design and engraving! Thank you! I could never have imagined such an amazing experience, not even at a local jeweler. The quality, the care, the beauty and details put forth by this shop has me blown away. The integrity that defines this shop, shines with the customer service, the quality, not just in product, but communication and the one on one care. 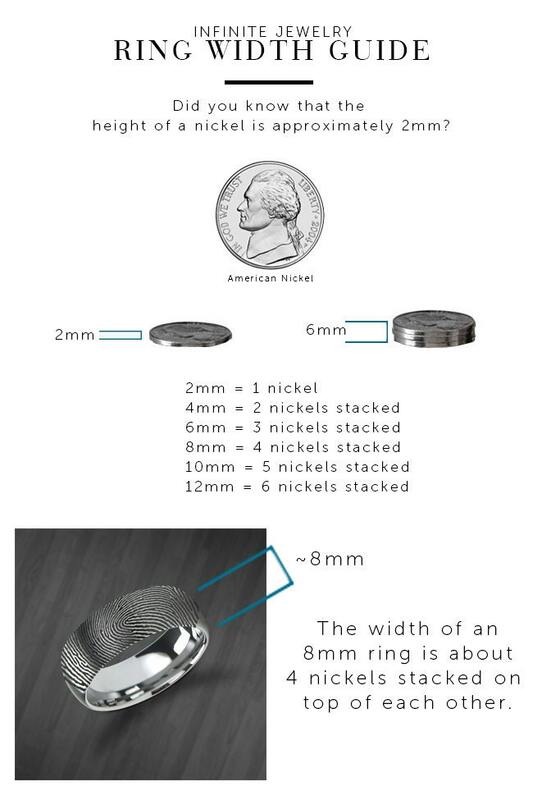 My husband loves his ring, and I’ve never seen him love a ring, he’s a rugged guy, but this ring truly had him In awe. Thank you for a perfect experience, and your patience! Love you guys! The ring is absolutely gorgeous... The sizing is a little small. We ordered a half size bigger then sized at the jewelers and it's snug. He's going to wear it for a few days before we get it resized. But other then that it's perfect! !